This boy has always had the ability to charm the pants off anyone. Look at those eyes! This is our middle one. He’s almost 5 now and in Reception at school. He’s a whirlwind. He’s exhausting. Basically, we stand in the wake of his Tasmanian-devil approach to life and we love it here. It was around the time this photo was taken that I decided to start meal planning. I was making toddler food for our toddler, weaning food for this one and grown-up meals for my husband and I. Nine variations of meals per day we’re starting to take their toll. Since then I’ve introduced a third baby into the mix and I’m not sure I’d still have my marbles if I hadn’t introduced meal planning and online shopping into our weekly routine. People often comment that I’m super organised. I vehemently disagree. I’m just a bit lazy really. The real reason I like to meal plan, is so that I can cut out the extra work. Efficiency is my main aim! I can spend more time sitting down if I’m spending less time cooking and washing up! And so, my approach to mealtimes became super simple: One Family Meal. I cooked one meal with multiple elements to suit everyone and we made a new focus at mealtimes – anyone who was in the building, sat down at the table and took part in the event. If my husband was home, he joined us, if we had guests or grandparents, we all ate at 5pm regardless. 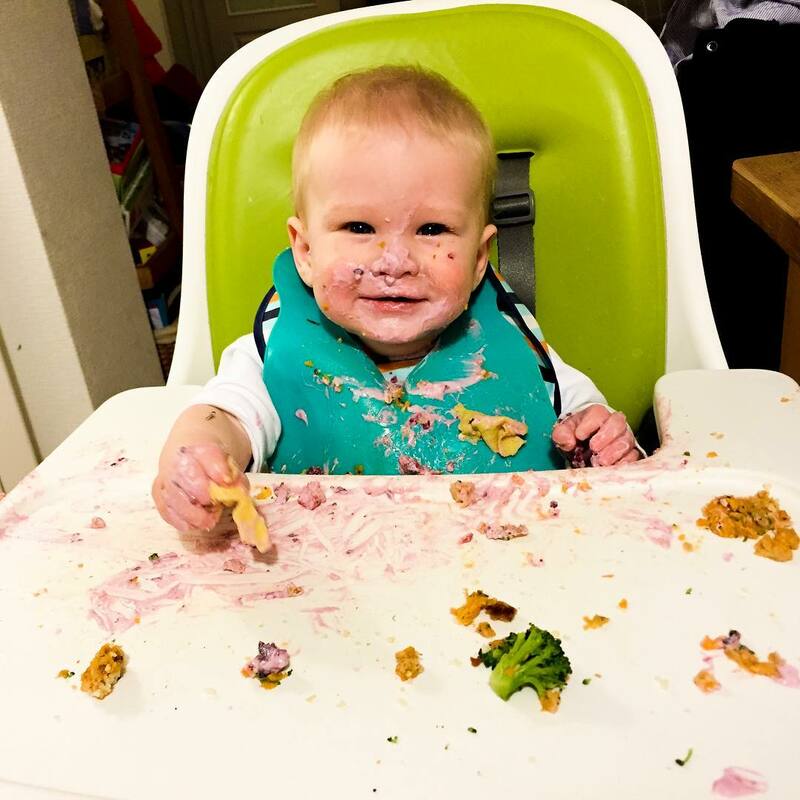 I think my dad was sceptical at first – the chaos of dinner was a bit much, but once he realised how late adult dinner would be if it had to wait until after bedtime, he embraced the chaos and became an advocate! The advantages have paid off hugely. The kids eat the same food as us. They are fairly good eaters with lovely manners and great mealtime banter. Oh, and I still have my marbles. So, if you’re thinking about how you’re going to cope with a weaning baby and going back to work, or a baby as well as a toddler, consider how meal planning might streamline feeding time at the zoo. Keep an eye on me – I post lots of blogs about how to meal plan, how to make One Family Meal work & how to cook meals with minimal fuss and washing up… see, I told you I’m lazy!